← ¡El Jardín de las Familias los Sábados en Lincoln! 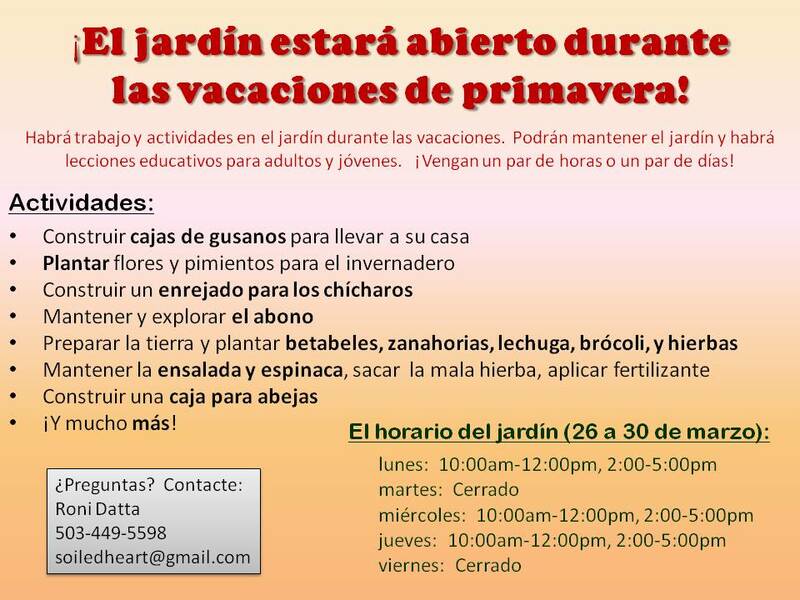 Spring Break Garden Activities (March 26-29) – ¡El jardin estará abierto! The Lincoln School Garden will have work parties and activities in the garden while school is out. 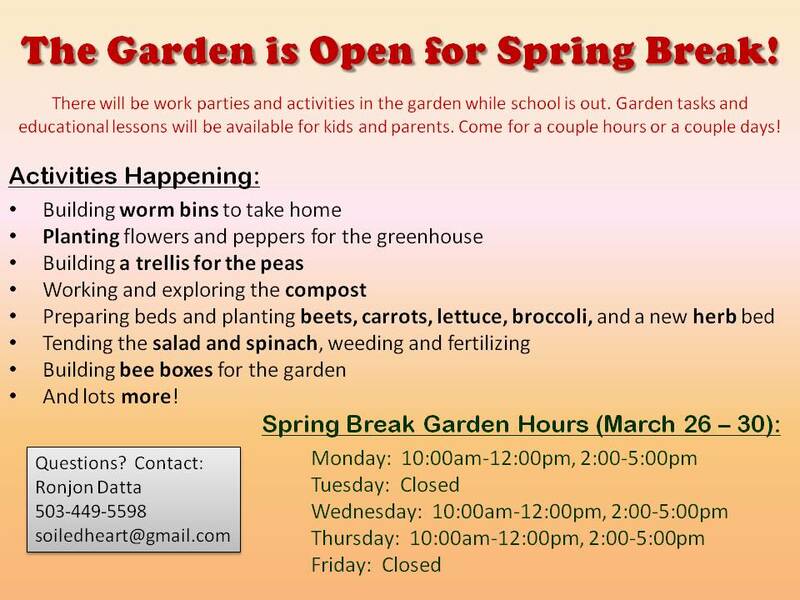 Garden tasks and educational lessons will be available for kids and parents. Come for a couple hours or a couple days! This entry was posted in Open Garden Hours, Uncategorized. Bookmark the permalink.